J. Craig Venter, PhD, is regarded as one of the leading scientists of the 21st century for his numerous invaluable contributions to genomic research. 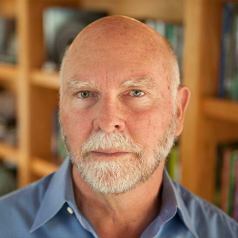 Dr. Venter is Founder, Chairman, and CEO of the J. Craig Venter Institute (JCVI), a not-for-profit, research organization with approximately 200 scientists and staff dedicated to human, microbial, plant, synthetic and environmental genomic research, and the exploration of social and ethical issues in genomics. Dr. Venter also is a co-founder of Synthetic Genomics, Inc. (SGI) and Human Longevity, Inc. (HLI). SGI is a privately held company developing products and solutions including sustainable bio-fuels, vaccines, biotherapeutics and transplantable organs. HLI is a genomic-based, health intelligence company empowering proactive healthcare. Dr. Venter began his formal education after a tour of duty as a Navy Corpsman in Vietnam from 1967 to 1968. After earning both a Bachelor of Science in Biochemistry and a PhD in Physiology and Pharmacology from the University of California at San Diego, he was appointed professor at the State University of New York at Buffalo and the Roswell Park Cancer Institute. In 1984, he moved to the National Institutes of Health campus where he developed Expressed Sequence Tags or ESTs, a revolutionary new strategy for rapid gene discovery. In 1992, Dr. Venter founded The Institute for Genomic Research (TIGR, now part of JCVI), a not-for-profit research institute, where in 1995 he and his team decoded the genome of the first free-living organism, the bacterium Haemophilus influenzae, using his new whole genome shotgun technique. Dr. Venter and his team at JCVI continue to blaze new trails in genomics. They have sequenced and analyzed hundreds of genomes, and have published numerous important papers covering such areas as environmental genomics, the first complete diploid human genome, and the groundbreaking advance in creating the first self-replicating bacterial cell constructed entirely with synthetic DNA. Deep sequencing of 10,000 human genomes. Proceedings of the National Academy of Sciences of the United States of America. 2016-10-18; 113.42: 11901-11906. Dynamics of an Aging Genome. Cell metabolism. 2016-06-14; 23.6: 949-950. Science (New York, N.Y.). 2016-03-25; 351.6280: aad6253. Synthetic biology: Construction of a yeast chromosome. Sequence analysis of a complete 1.66 Mb Prochlorococcus marinus MED4 genome cloned in yeast. Nucleic acids research. 2012-11-01; 40.20: 10375-83. Creation of a bacterial cell controlled by a chemically synthesized genome. Science (New York, N.Y.). 2010-07-02; 329.5987: 52-6. Complete chemical synthesis, assembly, and cloning of a Mycoplasma genitalium genome. Science (New York, N.Y.). 2008-02-29; 319.5867: 1215-20. The diploid genome sequence of an individual human. PLoS biology. 2007-09-04; 5.10: e254. Genome transplantation in bacteria: changing one species to another. Science (New York, N.Y.). 2007-08-03; 317.5838: 632-8. PLoS biology. 2007-03-01; 5.3: e16. Science (New York, N.Y.). 2004-04-02; 304.5667: 66-74. Generating a synthetic genome by whole genome assembly: phiX174 bacteriophage from synthetic oligonucleotides. Proceedings of the National Academy of Sciences of the United States of America. 2003-12-23; 100.26: 15440-5. The dog genome: survey sequencing and comparative analysis. Science (New York, N.Y.). 2003-09-26; 301.5641: 1898-903. Science (New York, N.Y.). 2002-05-31; 296.5573: 1661-71. Science (New York, N.Y.). 2001-02-16; 291.5507: 1304-51. Science (New York, N.Y.). 2000-03-24; 287.5461: 2185-95. Science (New York, N.Y.). 1995-07-28; 269.5223: 496-512. Science (New York, N.Y.). 1991-06-21; 252.5013: 1651-6.